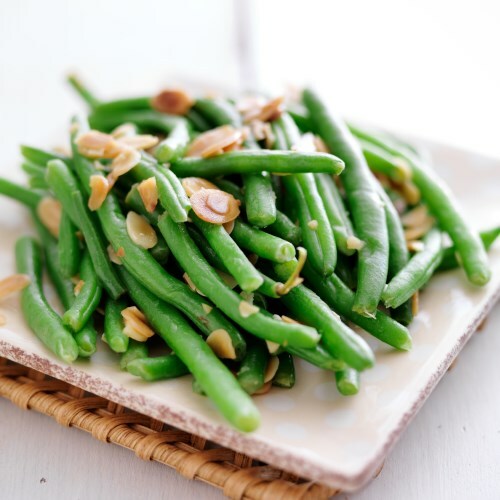 Place green beans in a steamer over 1 inch of boiling water. Cover, and cook until tender but still firm, about 10 minutes; drain. Meanwhile, melt butter in a skillet over medium heat. Saute almonds until lightly browned. Season with salt if desired. Stir in green beans, and toss to coat. Use coconut oil, duck fat, tallow or lard in place of butter. Coconut oil is recommended. If lactose only is problematic, ghee can be used. If casein is problematic, ghee is not recommended.